Andy Sidhu has been named the next Chancellor of UFV. The Patrika founder and stalwart community advocate will officially assume the position in 2018. Andy Sidhu will be the University of the Fraser Valley’s third Chancellor. “I’m extremely honoured and proud to join the University of the Fraser Valley in this capacity,” Sidhu said. 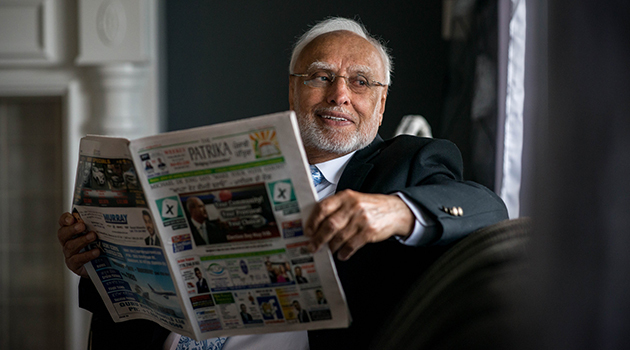 An accountant by trade before emigrating from Malaysia in 1974, Sidhu worked first on a dairy farm, then as a bookkeeper with the Canada Farm Labour Pool, where over the course of his 21 year career he became an unofficial ambassador, bridging gaps in culture and language between local businesses and people emigrating from the Punjab. As Chancellor, Sidhu will act as ceremonial head of UFV while serving as a member of the Board of Governors and the Senate. 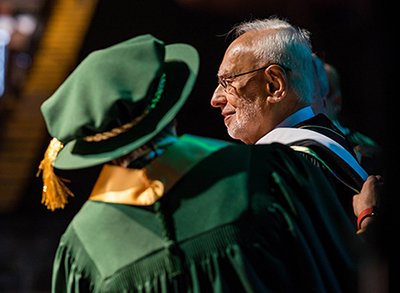 He will also preside over convocation, conferring UFV degrees, diplomas, and certificates, and serve as an ambassador for UFV at major events. The Chancellor is appointed by the UFV Board of Governors upon the recommendation of the Alumni Association and consultation with the UFV Senate. UFV started the practice of appointing a Chancellor after receiving university status in 2008. “By recommending him as UFV’s next Chancellor, the Alumni Association sought to recognize Andy Sidhu as a hard-working and community driven business leader who will serve as an excellent role model for our students,” said UFV Alumni Association chair Nav Bains. UFV Board Chair John Pankratz couldn’t agree more. “In Andy Sidhu, the UFV Board of Governors welcomes an experienced community leader with deep international experience,” added Pankratz. Sidhu receives his honorary degree from Chancellor Gwen Point during Convocation 2017. 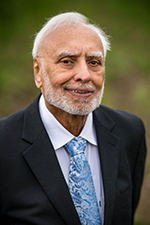 In addition to making financial donations to local health care and recreational initiatives, Sidhu has volunteered with more than a dozen groups, including the UFV South Asian Studies Institute, the Abbotsford Foundation, Indo-Canadian Business Association, Abbotsford Community Services, and Abbotsford Hospice. Dr. Gwen Point’s time as Chancellor punctuated a lifetime of connection with UFV. She started her engagement with what was then Fraser Valley College in the early 1980s when she and her husband Steven (former Lieutenant Governor of British Columbia and now a B.C. provincial court judge) took university-level courses there. From FVC student to member of the University College of the Fraser Valley board of governors, to UFV assistant professor, Point’s career and educational journey paralleled the development of UFV from college to university.